While writing this, I saw an interview with Jeb Bush acknowledging something to ABC’s Jonathan Karl. A media consultant had recommended that – to “fix” his campaign – Jeb should be … should own … himself. I know first-hand how wise is that advice. I’ve lived my own transformation from a young man unable to walk – merely to walk – comfortably across a stage … to being able today to address an audience of 5,000 or more with confidence and ease … and to help others attain that skill, since I know so well what it’s like NOT to have it. I gave a speech in Houston a few weeks ago — to ExxonMobil’s GSC’s Women in Leadership Team. I was impressed by their commitment to the development and career advancement of women … in a traditionally “man’s business” of oil rigs and drilling. It has meant a lot to me, since coming home, to get reports that the audience – mentees and mentors of both genders, and at different levels – got real value from what the story I shared … and the “how to” learnings that were part of it. And now … I was asked to tell my story in the chapter of a book. It’s the eighth in a series, in which different experts in their fields share the truths and insights they each have learned from life … in order to help others, readers, make positive, life-enhancing changes of their own. 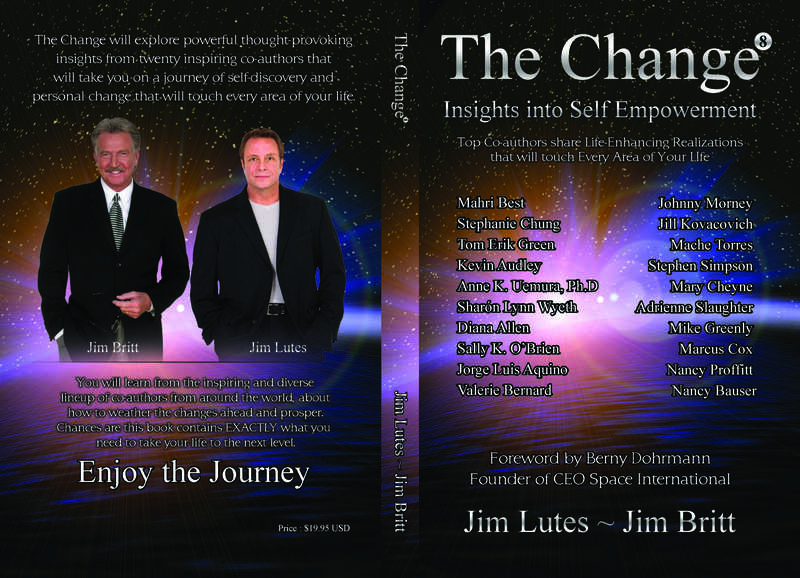 The book in which my chapter will appear is The Change8 … the eighth book in the series. 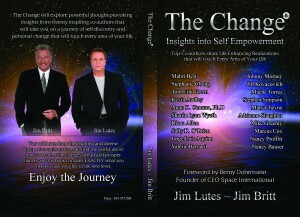 The title of my chapter is “From “Stage Fright” to the Power of Authenticity.” I’ve lived that story. And I’m happy now to share it. 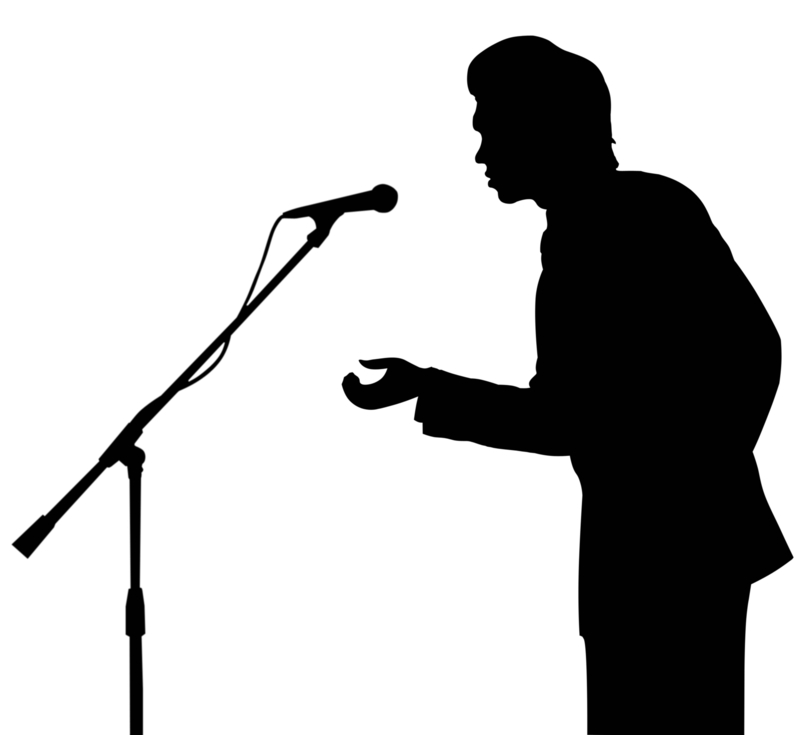 As a corporate speech writer & speech coach, I’ve worked on many big corporate meetings and events … for IBM, Motorola, ExxonMobil, J&J, etc. 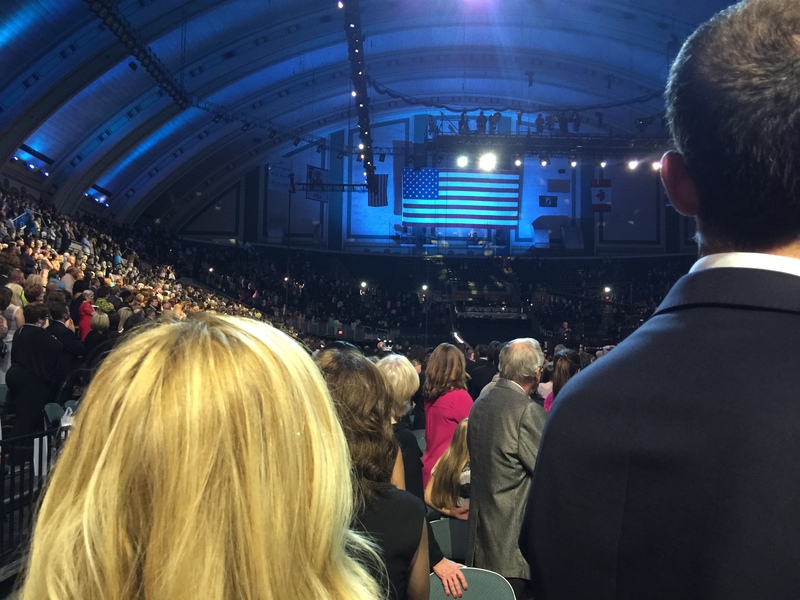 I’ve also covered major events as a journalist – the Academy Awards, the Republican and Democratic political conventions, big computer trade fairs, etc. Here she is, arriving on the Red Carpet. As I was reminded while viewing from prime seats on the sixth row at the front of the stadium Sunday night, there’s a tremendous difference in the feeling of watching something spectacular at home and being there live. When Sam Haskell, the organization’s CEO, apologized to Vanessa, you could feel emotion throughout the hall. For many like myself, it was a symbol of our ability to rise up after a fall or, as Taylor Swift sings, to “shake it off” and move ahead to new triumphs. 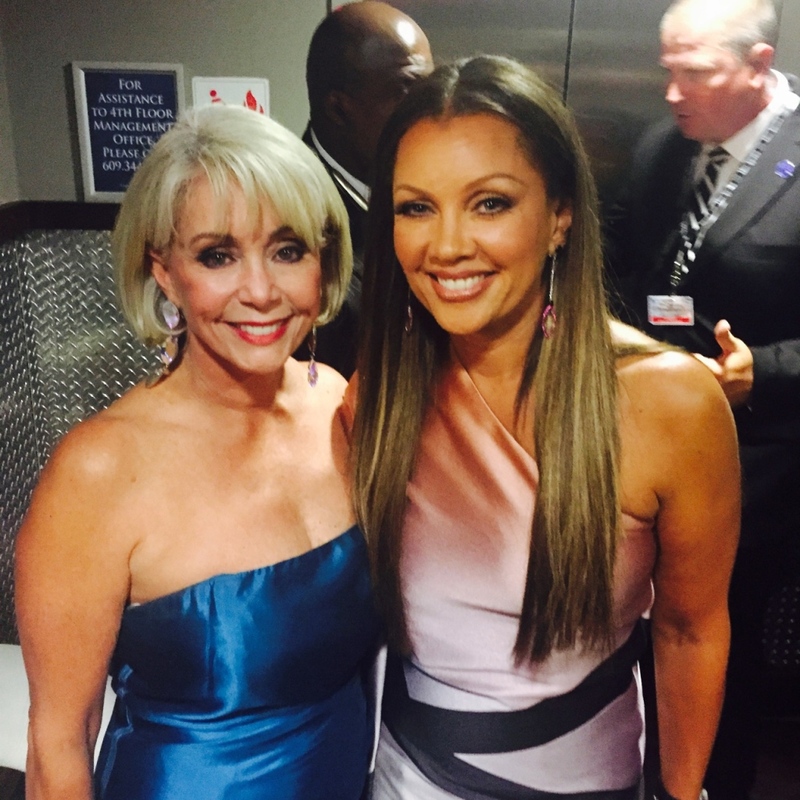 Here’s Kylene, with Vanessa Williams, her “Miss America Sister” (1983.). I don’t know it felt at home on TV, but it was quite affecting in the hall. Kylene had likened the in-stadium experience to being at a football game with 52 competing teams. She was right! 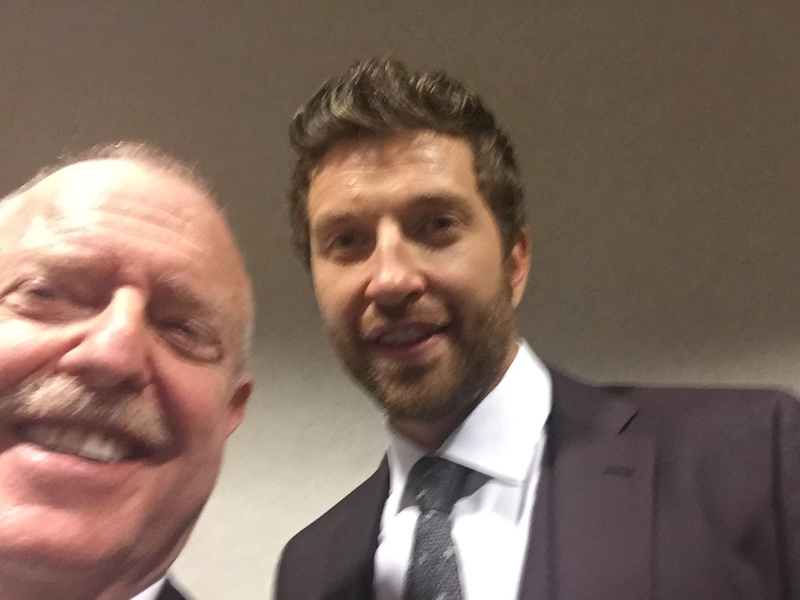 At the end of the show, I got to meet several of the “Celebrity Judges.” Brett Eldredge — American country music singer and last year’s CMA winner of New Artist of the Year. 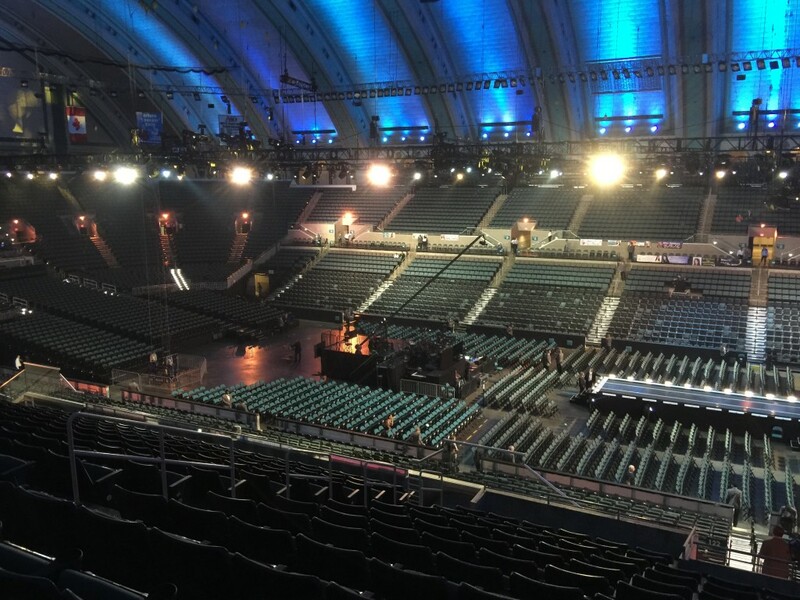 the discipline, talent and drive it takes for every State Contestant to have gotten to Atlantic City in the first place. the support and love that each contestant showed to the others … more like sisters than competitors. but nearly $6 MILLION in scholarships when national, state and local awards are combined. THAT is life-changing for many, many young women. It was a privilege to be there in person, especially in the “invited guest” status I enjoyed. And it was an eye-opener to experience, first-hand, the human dynamo that is Kylene Barker McNeill. I’m experiencing aspects of the competition that I never knew existed and meeting remarkable people of accomplishment and talent. Among them are Kira Kazantsev. 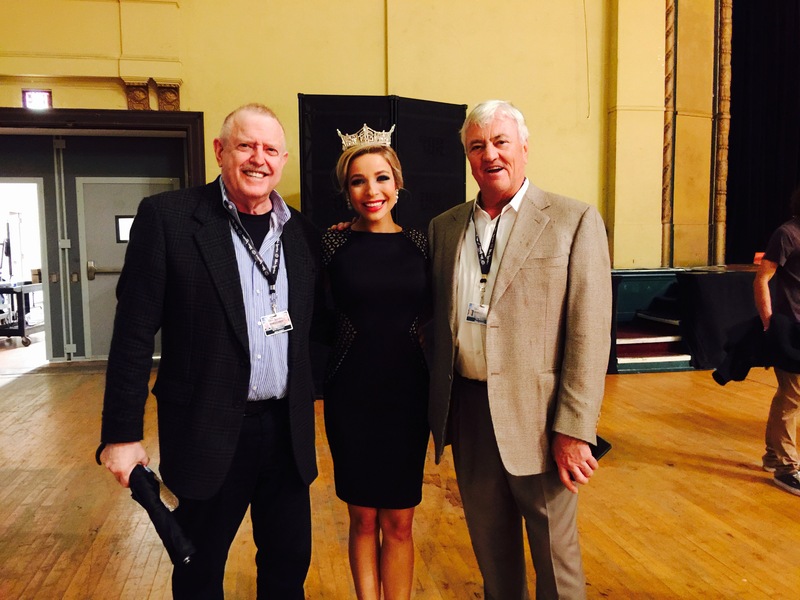 She is the third consecutive Miss New York to have become Miss America. During her reign, she has been working with and championing organizations like United States Military overseas and the Children’s Miracle Network Hospital. 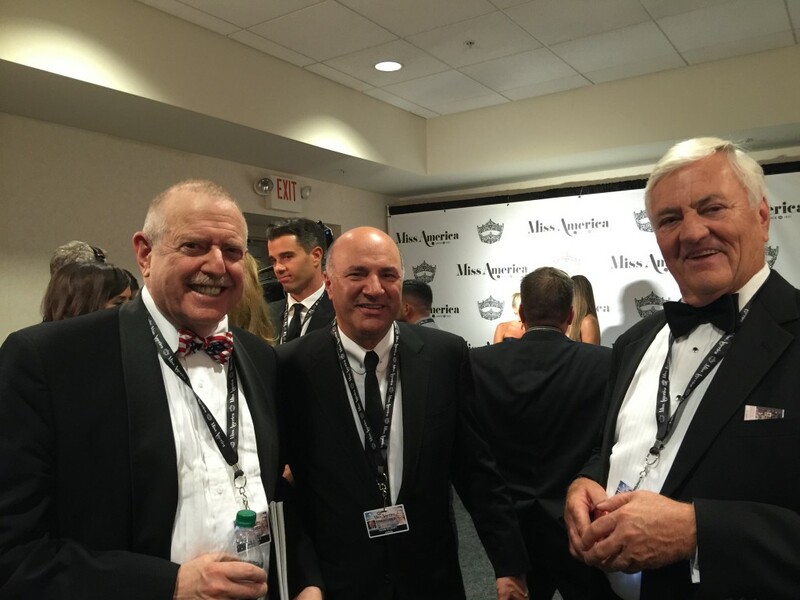 I’ve also had the pleasure of getting to know Kylene’s Canadian husband, Ian McNeill — President of Combat Batteries in Mississauga, Ontario, Canada, specialists in industrial batteries and chargers. Given how impressed I’ve been with Kylene, I wasn’t surprised to discover that Ian is an extremely savvy and personable executive, who’s also a genial and down-to-earth guy. One of the things I experienced on the wet Saturday afternoon of this weekend was the “Show Us Your Shoes” Parade down Atlantic City’s Boardwalk. I’d always been dimly aware that there was, indeed, “a parade” … but I hadn’t imagined the enormous scale of it all. 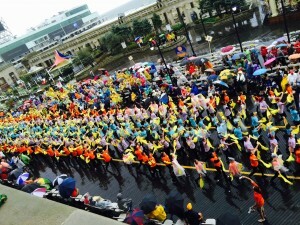 With over 4,000 participants, including 15 floats, 15 marching bands, nearly 50 dance troupes, 16 choirs and dozens of special units, the event was more than two hours long. 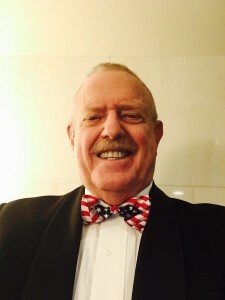 To share the background with you, I’ll quote a story by Robert Rosiello on casinoconnectionac.com. 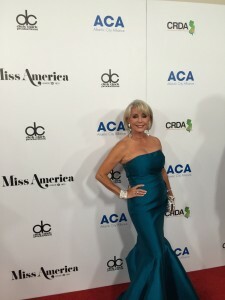 Ed McMaster, who served as president of the Miss America Organization for several years before the pageant moved to Las Vegas, told us back in 2004 about its origins. “Our contestants used to dress in gowns for the parade, but since they were riding in cars and their feet were hidden, they’d wear something comfortable—flip flops, sneakers and slippers,” McMaster said. “People got wind of this in the early 1970s and one year tried to sneak a peak at the shoes. They even got up on a balcony but still couldn’t see them. Finally they began shouting, ‘Show us your shoes!’ The contestants thought it was hilarious and decided to give them something to look at. 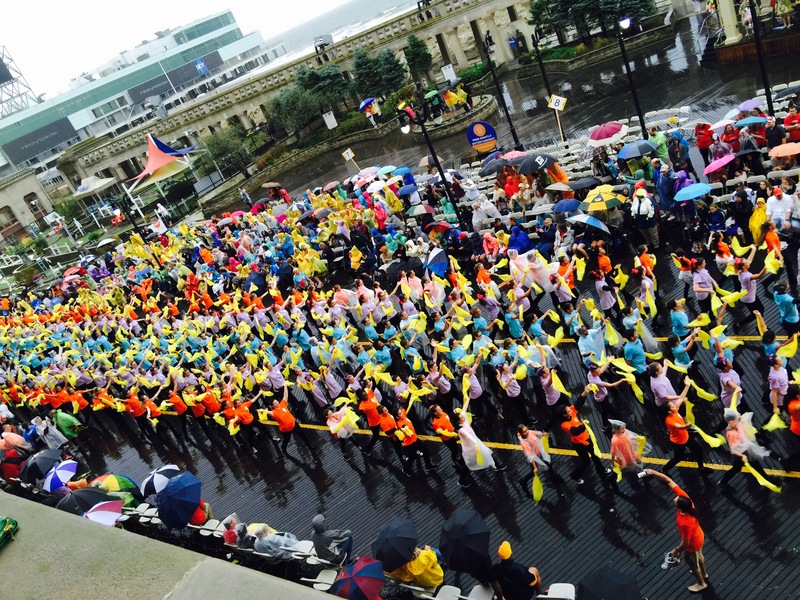 It’s been a great tradition ever since …. The 53 contestants this year had artistic freedom to design their own shoes in whatever manner they felt best represented themselves and their respective states. As I observed yesterday from the Judges’ Balcony, Miss District of Columbia honored the U.S. Marine Corps, Miss Florida had the Gators logo on her shoes, Miss Idaho featured a potato, and Miss Kansas displayed wheat on hers. 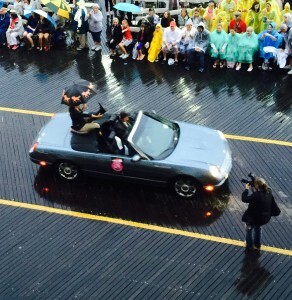 New Jersey proceeded down the Atlantic City Boardwalk with a Monopoly Board. 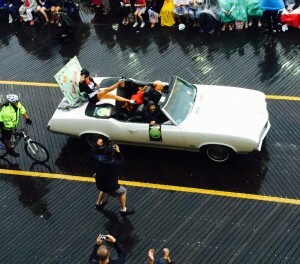 Miss Virginia honored the equestrian excellence of her state with horse-riding boots and horses on her umbrella, etc. It’s all tremendous fun while boosting the diversity and richness of each contestant’s home. What I’m realizing more and more, though, is the magnitude of the effort, talent and discipline that goes into all this. 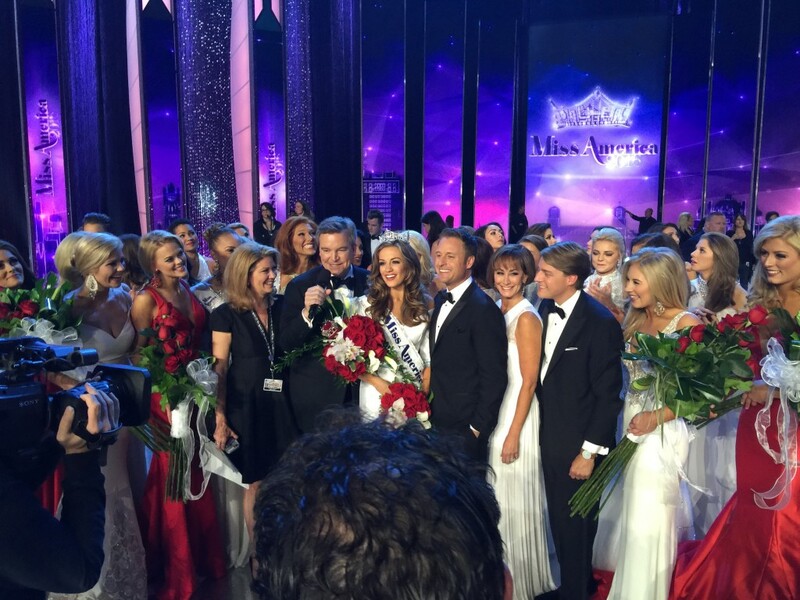 Even more important: how much good the Miss America Organization does by empowering its contestants with life-changing, career-advancing opportunities that help these young women become valuable contributors to our country and to the world after all the pomp and pageantry is done. Last night, I was invited to the Forever Lounge … an amazing chance to meet and chat with former Miss Americas I had watched as a child and then steadily as an adult over the years. 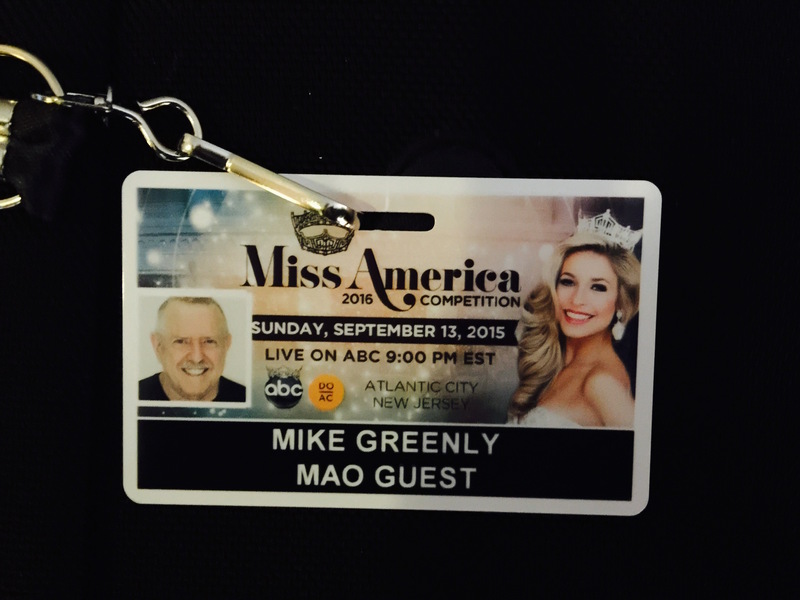 Even some Miss Americas who got their crowns before I was born. 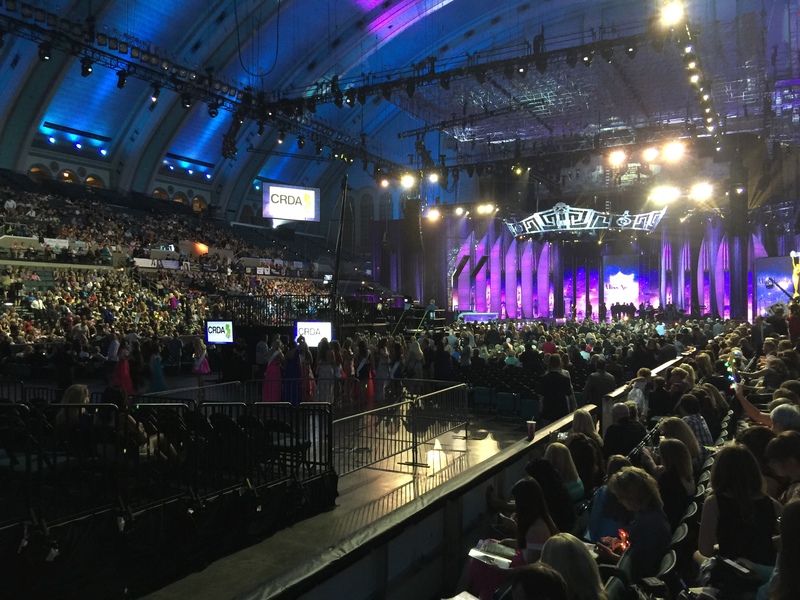 All of it giving me a much heightened respect for what the Miss America competition symbolizes … and achieves. My Tuxedo is Ready …. The Tux is fresh out of the cleaner’s, and I’m excited for the privilege of attending the Miss America Pageant in person this year, after watching it intently for so much of my life. 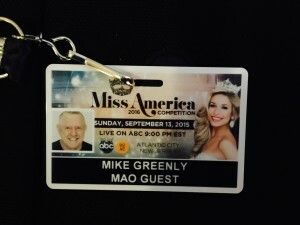 For now, I’m forbidden from any contact with Kylene, since she’s a Preliminary Judge this year – helping to choose the contestants who’ll compete in the national ABC broadcast this Sunday night. 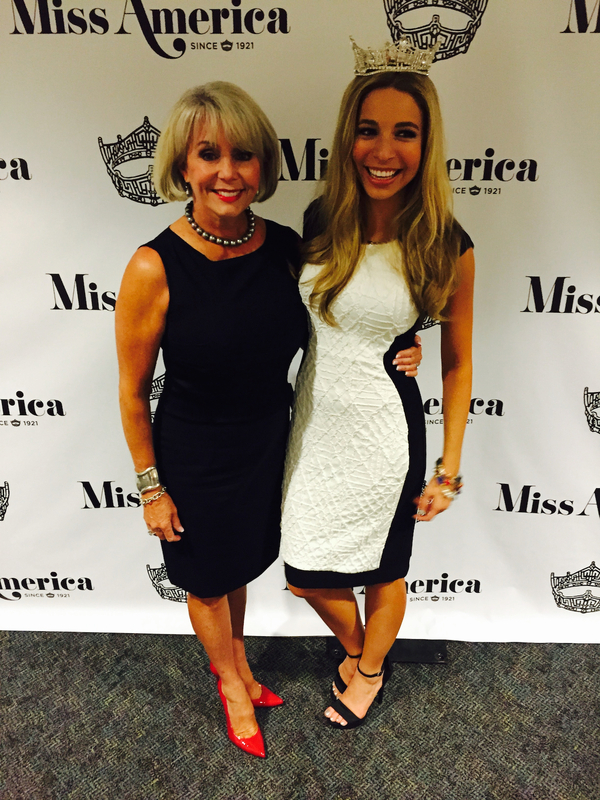 Here she is with the reigning Miss America, Kira Kazantsev from the San Francisco Bay Area. In getting to know Kylene, I’ve gained a heightened sense of respect for every contestant, and for the program itself. that it offers the largest scholarship program for women in the United States … boosting careers and achievements. 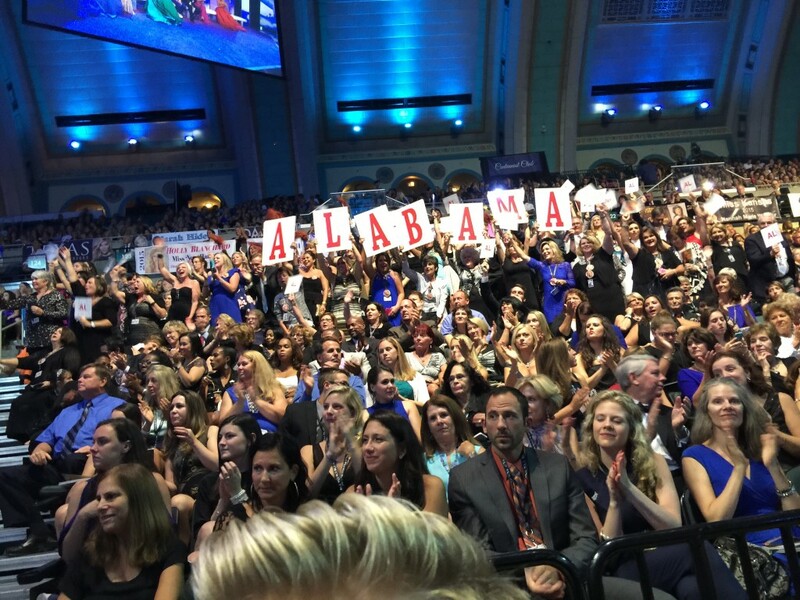 The Miss America Program has allowed many young women to graduate debt-free – tremendously important, given the high cost of education. Ms. Dierdre Downs wanted to be a doctor and was in the Miss Alabama Pageant 4 times before winning but won scholarship money every year. After finally winning the State Title she went on to win Miss America (2005.) She is now DOCTOR Deirdre Downs and debt-free. This is a back-stage video clip of Kylene being “challenged” this week by comedienne, Dana Blizzard. Kylene’s winning talent for was an astonishing acrobatic dance act. Here, tough, you’ll see what a game gal she is … with the kind of “ready for it” spirit that helps to define a champion. Can’t wait to meet her – I admire and enjoy her already.